Philip Shaw Bova is a Grammy nominated Ottawa based recording, mixing, and mastering engineer who grew up in a studio, literally. 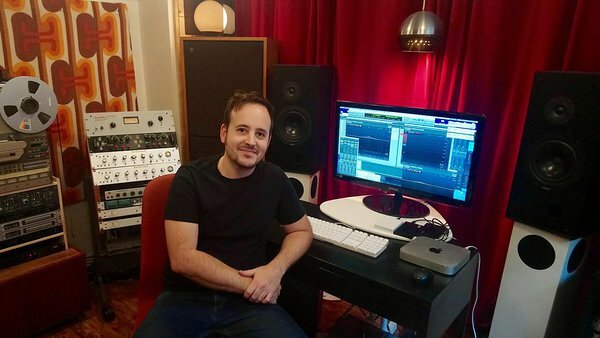 From a very young age he's worked in recording studios; first starting out as a session drummer, and then subsequently developing a deep passion for the technical side of recording. Philip was fortunate enough to learn the ropes from his father engineer/producer Phillip Victor Bova (www.bovasound.com) who has owned and operated several Ottawa area studios over the last 40 years. Philip launched his own studio in 2013. Having grown up around 70s and 80s recording technology, Philip developed a fanatical devotion to vintage tube equipment, analogue tape machines, and vintage microphones. He brings a finely tuned attention to detail and enthusiasm to every project he works on. Philip specializes in bringing a rich analogue aesthetic to clean and crisp digital recordings.